The 285,000 square foot LEED Silver-designed building - to be located just steps away from the new Brightline high-speed rail station - will bring modern architecture and best-in-class office amenities to the West Palm Beach business community. Related Companies has proposed a state-of-the-art Class A office building at the corner of Rosemary Avenue and Evernia Street in downtown West Palm Beach. 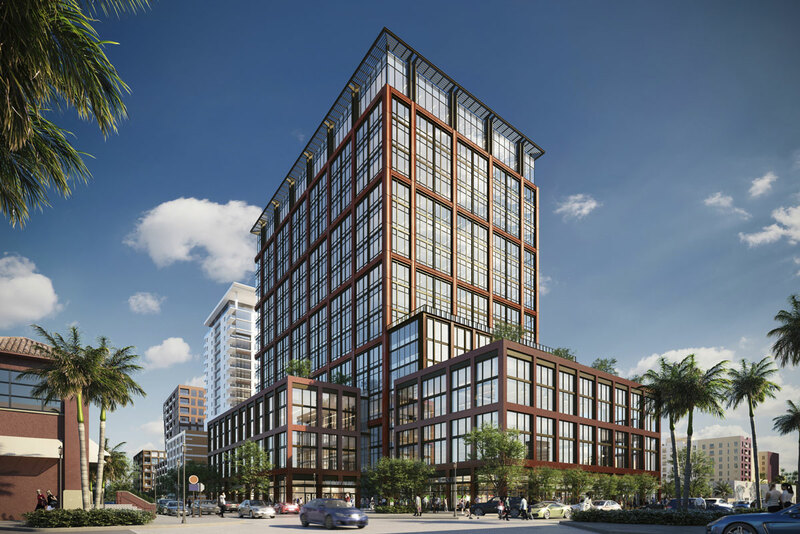 Created as an innovative and sustainably advanced corporate space, 360 Rosemary will complement CityPlace Office Tower, bookending the district with two distinct, premier office buildings and improving the region’s ability to attract new businesses and create jobs. It will stand as the newest Class A office space constructed since the CityPlace Office Tower was built in 2008.